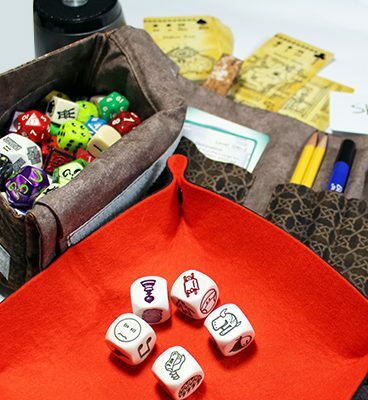 We had a fine weekend in Newport, south Wales, at the DragonDaze event and it proved us the first outing for the full spectrum of dice tray colours we promised in our last update. 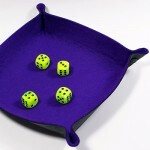 Now that we have managed to catch up a bit, we’ve taken pictures of each colour in the dice tray range; we have uploaded them all to the Store in the Accessories section. 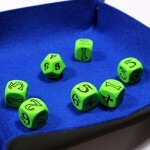 Like all dice tray, they provide a measure of containment when you roll a die (or dice) into them. 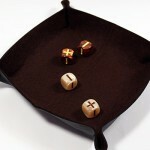 If you chuck the dice, it’ll probably bounce, but the same happens with the hefty wooden versions! 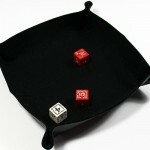 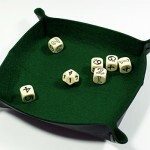 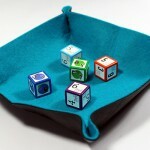 However, not only do our dice trays provide a limiting target for your rolling dice, they’re also flexible and foldable. 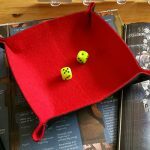 The value of the folding dice tray comes from that compact, lightweight profile – slim enough to tuck inside your All Rolled Up. 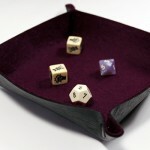 Each dice tray comes with paired snaps on each corner. 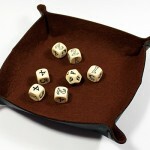 They secure the tray closed when folded and form the corners when you have the dice tray open. 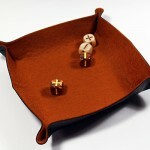 We have invested in a heavy duty hand press to secure the snaps. 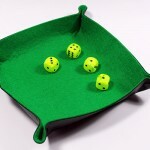 When you order one, we provide care instructions to keep it in tip-top condition. 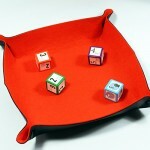 Check out the colour options in Accessories.